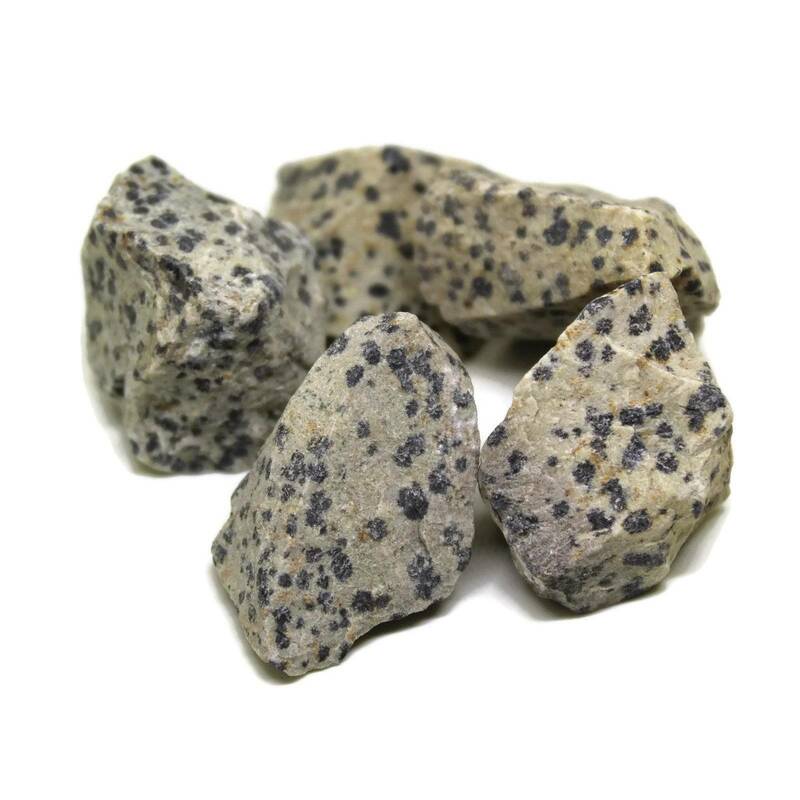 We sell single pieces of rough Dalmatian Jasper as well as larger 1KG bags containing around 50 pieces. 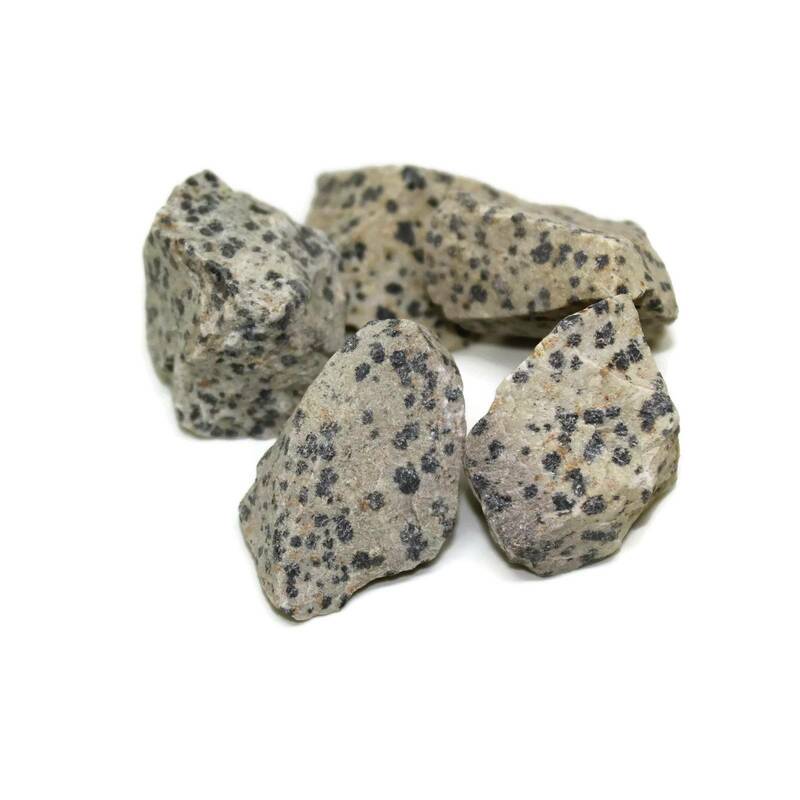 We sell single pieces of rough Dalmatian Jasper as well as larger 1KG bags containing around 25-60 pieces. 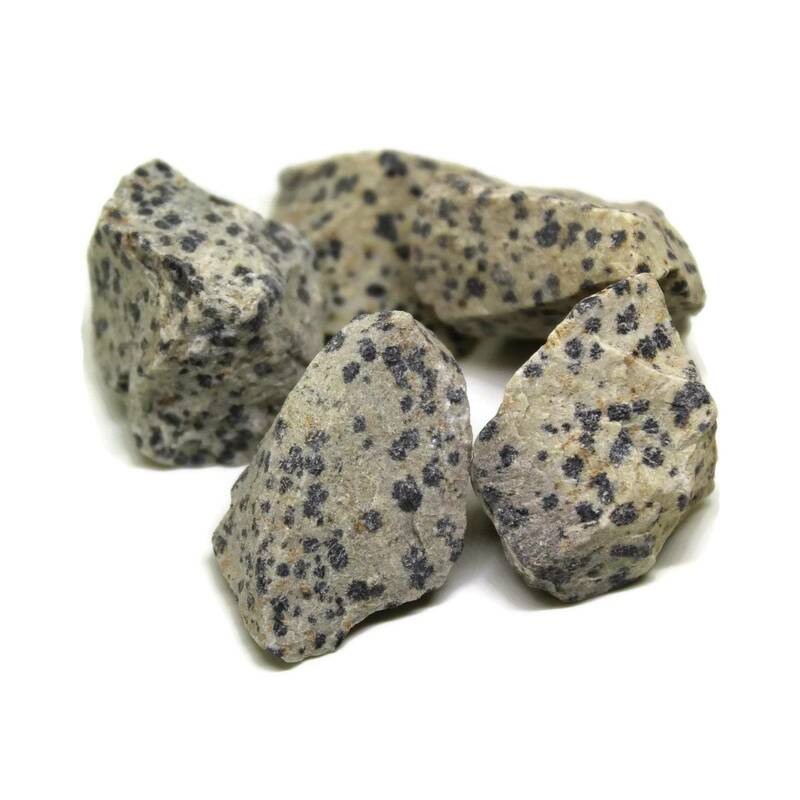 These pieces typically measure around 30MM, a perfect size for rock tumbling. This stone is typically sold polished and dyed, so some people may be interested in a piece just as a collectors specimen. These are an okay grade of the stone, with a lot of black spots on the surface. They could be whiter/creamier coloured, though. For more information about Dalmatian Jasper, and a full list of all of our related products, have a look at our ‘Dalmatian Jasper’ page.